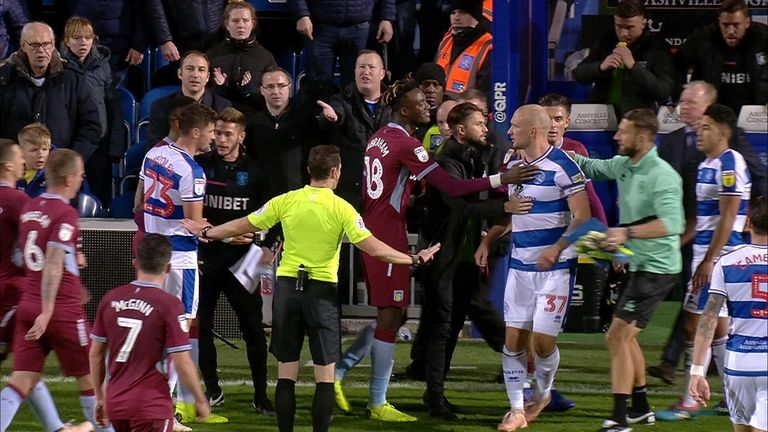 Jonathan Kodjia sparked a melee between Aston Villa and QPR's players at half time, after he appeared to kick the ball at Toni Leistner. 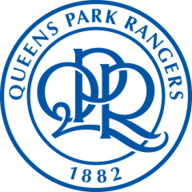 Pawel Wszolek's first-half strike gave QPR their third straight Championship victory as they beat Aston Villa 1-0 on Friday night at Loftus Road. Villa started well, hitting the post through Jack Grealish, but QPR broke the deadlock when Wszolek's effort went in off the crossbar (38) as the visitors were undone by a long ball. In his third match in charge, Dean Smith's Villa piled on the pressure in the second half, but couldn't break through a stubborn QPR, who have now won four of their last five to move just a point outside the play-off spots following a poor start under Steve McClaren. Villa, meanwhile, have just two wins in 13 and are six points off the top six. 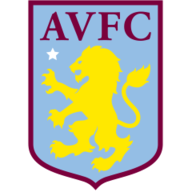 Villa had the better of the first half; John McGinn and Grealish struck just wide from range, before Grealish hit the post with a bizarre 35-yard free-kick as he shaped to cross, nearly catching goalkeeper Joe Lumley off guard. But QPR went ahead in the simplest fashion as Geoff Cameron's long ball over the top caught James Chester and Neil Taylor out, allowing Wszolek to strike off the bar and over the line. Tammy Abraham poked just wide after the break from McGinn's free-kick delivery, sub Yannick Bolasie forced Lumley into a good save at the near post, while at the other end Josh Scowen struck wide from 20 yards. QPR were unchanged for the third match in a row under Steve McClaren while Villa made three changes. Adomah, Whelan and Hourihane came out, replaced by Bjarnason, McGinn and Kodjia. Angel Rangel blocked a late Grealish volley with his elbow, but with the defender standing at point-blank range, no penalty was given. Villa huffed and puffed in stoppage time, but the home side saw it out as they look up at the top six. 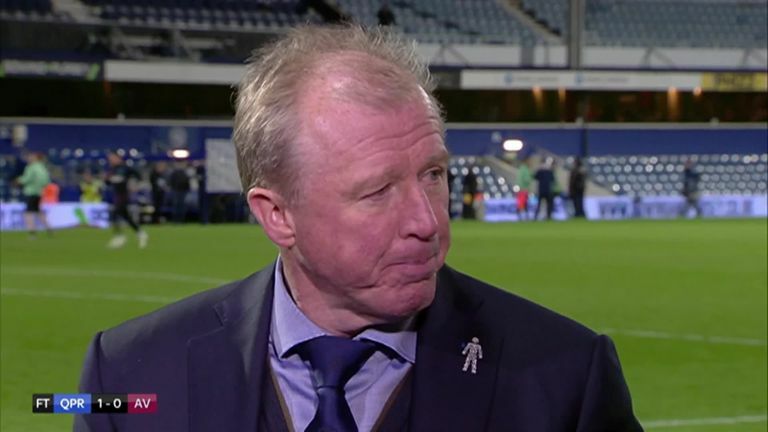 Steve McClaren: "It was a hell of a battle, and a hell of a win, I'm so proud of the players. I said you'd have to leave nothing on the field, and they didn't, they gave everything." Steve McClaren said his side showed ‘unbelievable character’ in their win over Aston Villa and he couldn’t be prouder of them. Dean Smith: "We certainly didn't deserve to lose. We were better, much better, and I thought we were better than QPR as well, but unfortunately they've got the result." 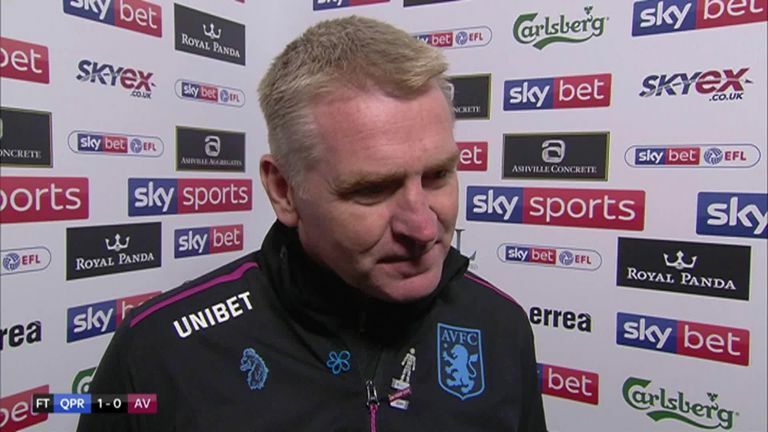 Dean Smith was annoyed his Aston Villa side fell to defeat at QPR, believing them to be the far better side. In a game where QPR had just 32 per cent possession, the centre-halves had to be on song. Lynch was singled out by McClaren after the game for his performance, and rightly so. He made a team-high seven clearances, and dealt superbly with Tammy Abraham, particularly with the striker attempting to roll him at every opportunity. Villa now host Bolton on Friday night, live on Sky Sports Football at 7.45pm, while QPR are at Blackburn next Saturday at 3pm in the Championship.